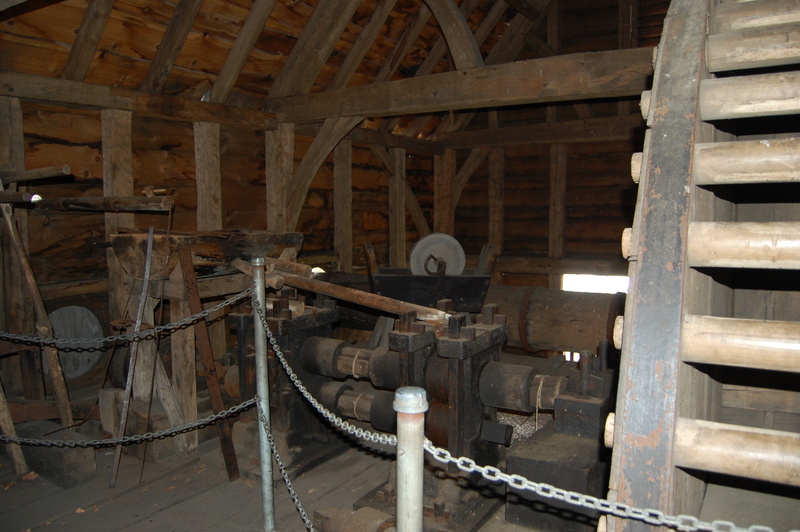 Saugus Iron Works National Historic Site - Saugus - Take a day trip! View of most of the major buildings. a big part of the economic development of the colonies. Not only did the iron produced by this site provide a critical resource locally that no longer needed to be imported from Europe but it also trained many people in how to turn raw materials into iron and how to turn that iron into useful tools and other items needed throughout the colonies. 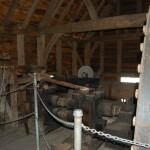 This venture operated for 24 years in the 17th century and many of the workers from this enterprise went on to start other iron works after it went out of business that played a key role in the economic development of the colonies in general and the American metalworking industry especially. Visitor Center and Park Store: There signs to this building from the parking lots and this is a great first stop both to grab a park brochure and map and also to check when any guided tours might be happening that day. I would also recommend checking out the park’s website for details on events to better plan your trip. Museum and theater: This building tells the story of the Iron Works putting it into historical perspective and also showing off many interesting artifacts from the excavation of this site. 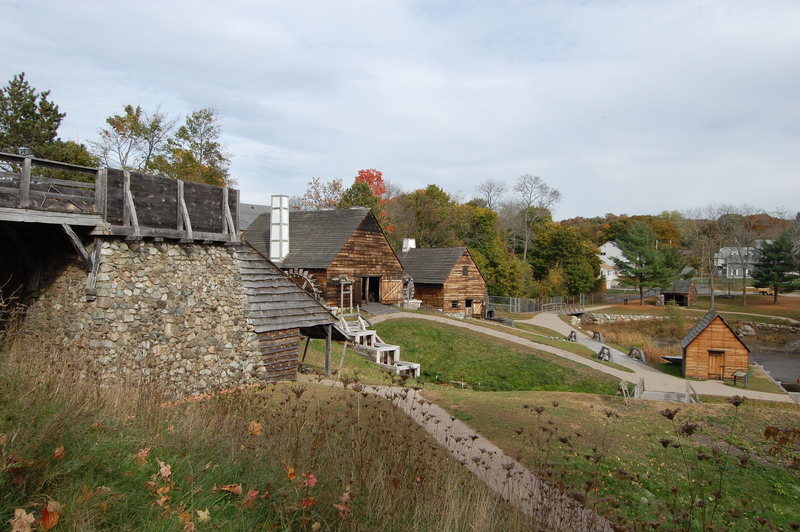 It also tells the story of many of the people who lived on site and the story of their lives among the Puritans who were the initial European settlers of Massachusetts. 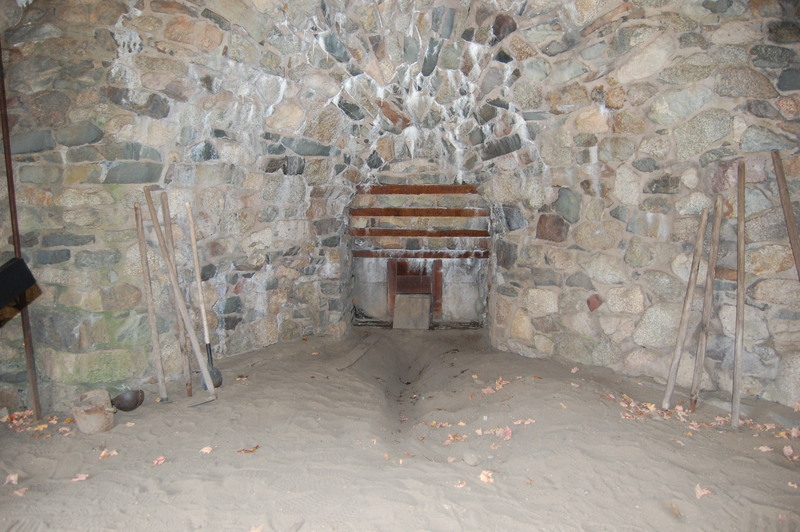 Interior of the blast furnace. furnace site is where the ingredients of bog iron ore, charcoal and gabbro (a very specific type of local rock) were turned into cast iron. If you’re able to take a tour the ranger can turn on the water-powered bellows. Forge: This is where the brittle and crude cast iron is worked and turned into cast iron. 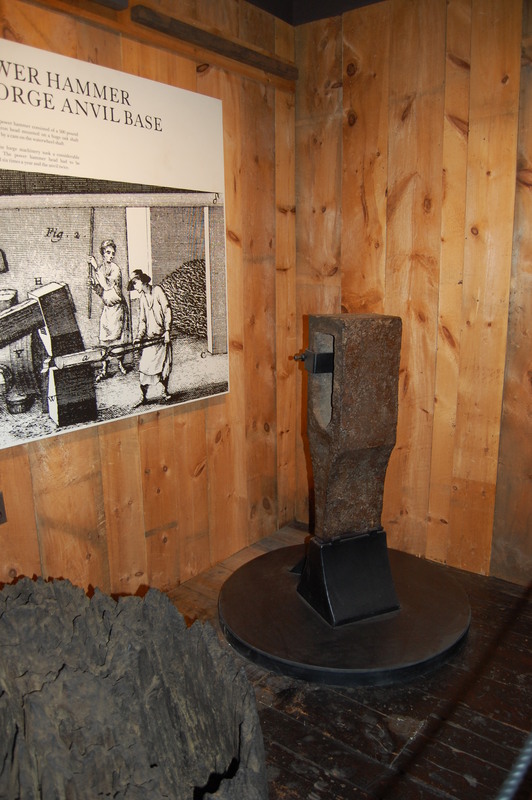 There is a working model of the trip hammer that you can see if you visit during a tour and some examples of the merchant rods that were the primary product of the Iron Works. flattened out and turned into ‘nail rods’ that were long thin strips of iron that could be easily made into nails by a local blacksmith. With nails in critically short supply and very expensive, because they were either imported from England or required a lot of work by a local blacksmith, this was a very useful product for the growing colony. Blacksmith Shop: This was where many practical and ornamental items were made and, if you visit at the right time, you might be able to see a real blacksmith at work! 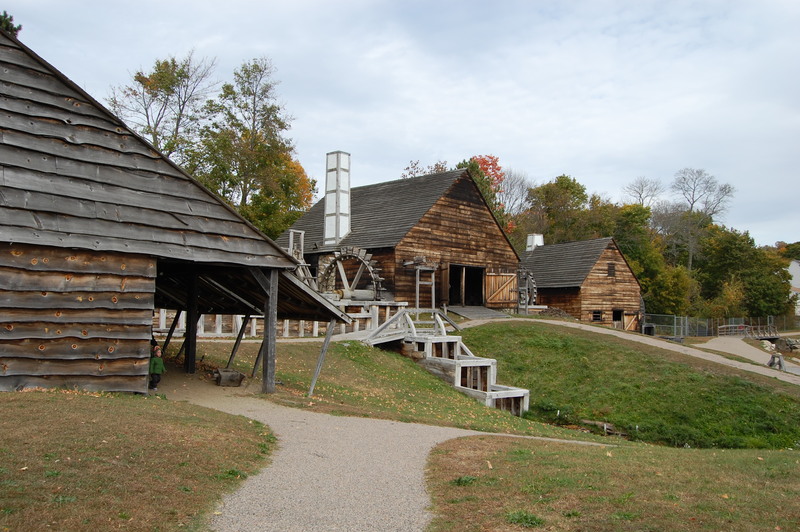 Other notable things to see include the rebuilt dock where iron was shipped out and raw materials shipped in as well as a recreation of one of the boats that carried this trade to and from the other settlements in colonial Massachusetts. There is also a house built at the end of the 17th century on site that can be visited as part of a tour only. It is a great surviving original example of house that would have looked familiar to one of the earliest European settlers of Massachusetts. 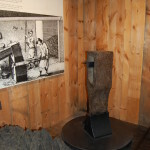 Musuem display with original forge hammer found on site. open on the day(s) you plan to visit or you can call their information line at (781) 233-0050. Generally speaking the park is open from mid to late spring (early May) through to the end of October. In season the park is open from 9 AM to 6 PM daily. The facilities in the park are free to visit and there are restrooms as well as a gift shop with rangers available to give you more information. 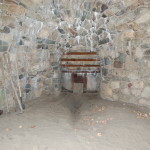 Most of the facilities in the park are handicap-accessible including the blast furnace and forge however there are a few areas where space is tight and access might be difficult if a visitor has mobility issues. 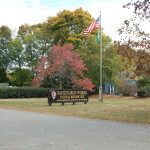 Saugus NHS Park Sign on Central St. in Saugus. 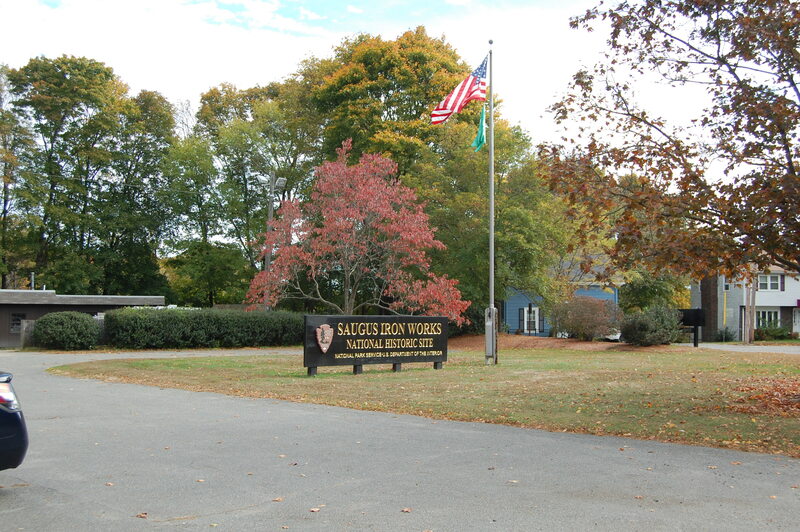 Saugus Iron Works is also accessible via public transportation with bus service on the #430 MBTA bus providing service from the Malden Center station on the orange line.